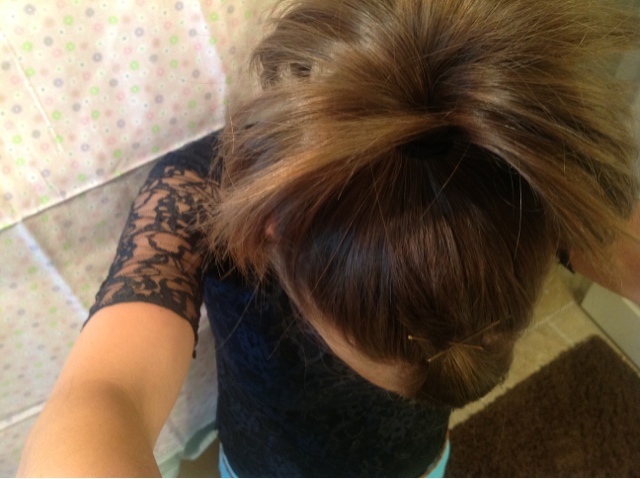 Who says sock buns are only for girls with long hair? 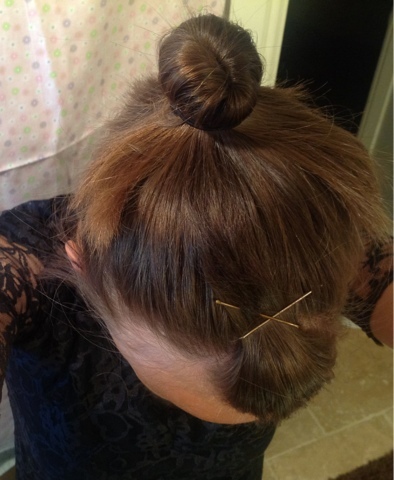 Granted, it's not as easy with short hair and it takes a lot more bobby pins, but it's still possible! Step one: Put hair in pony tail at height of desired sock bun. 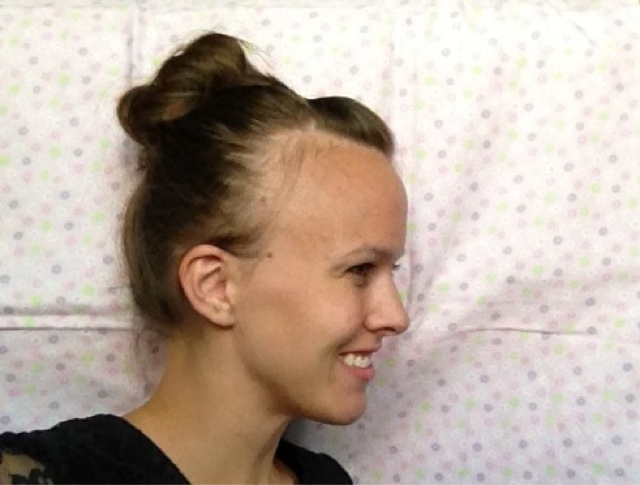 Step two: tilt your head down until your hair fans out in all directions (including forwards as my picture fails to demonstrate). Step three: take your skinny/thin hair tie and put it around your fanned out hair, doubling it over if necessary. 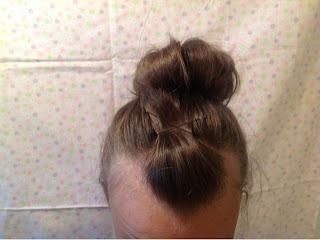 Step four: begin gently pulling at your hair so that your "so far sock bun" becomes more loose, like a regular sock bun. 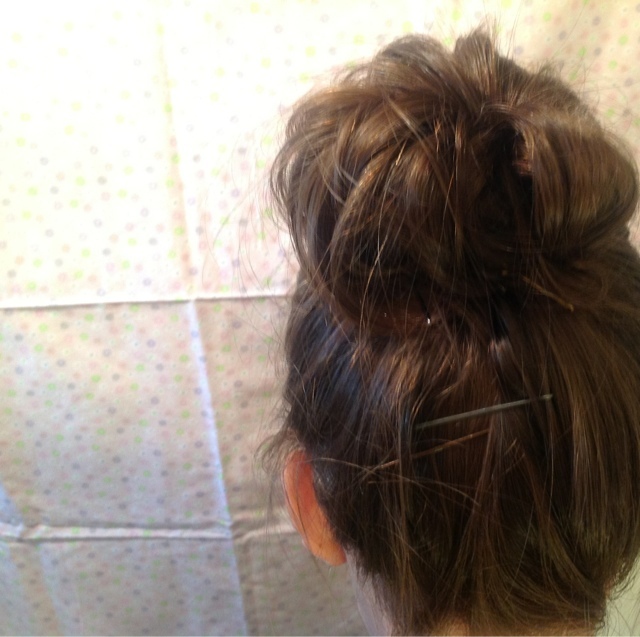 Step five: start pinning down your hair. If some shorter pieces have come out, that's okay! 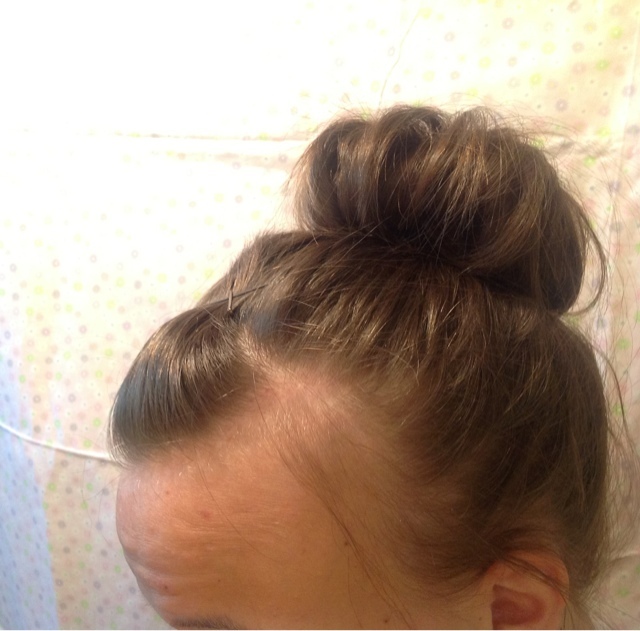 Just try to tuck them under the longer pieces. And you're done! 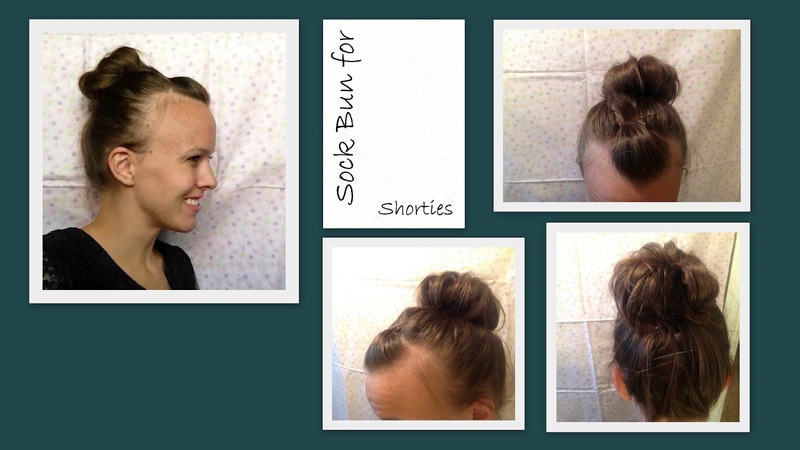 Sock buns for shorties!